It may sound unbelievable, but the widest road in the world has a total of 22 lanes! 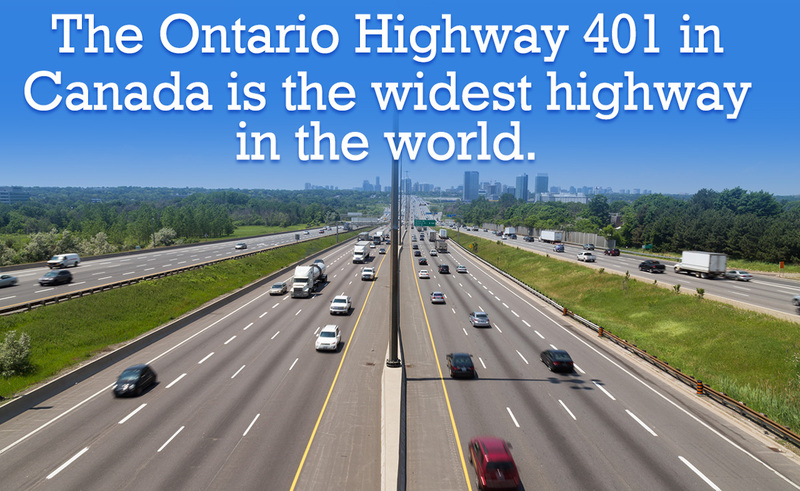 Continue reading to find out more about this 400-Series highway in Canada. Over the last few decades, the number of vehicles on road has increased manifolds all over the world. This has, in turn, evoked the need for putting in more efforts to promote road safety, and the development of roads which are WIDE enough to support the ever growing road traffic in the world is a part of this very road safety initiative. Roads with 8 and 10 lanes are no more rare occurrences, but what about roads with 20 lanes - they surely deserve to be called engineering marvels of the modern world. With quite a few claims about 'world's widest road' making the rounds, there seems to be a lot of confusion as to which is actually the widest road of them all. With all this confusion, the only way out seems to be to get more information on all these roads which are allegedly claimed to be widest - and see whether they are really wide or are mere boastful claims. At its widest point the Ontario Highway 401 in Canada has 18 lanes in the mainline and additional 4 lanes as connecting ramps. If all these lanes are taken into consideration the total amounts to 22 lanes - thus making the Ontario Highway 401 the widest road in the world. 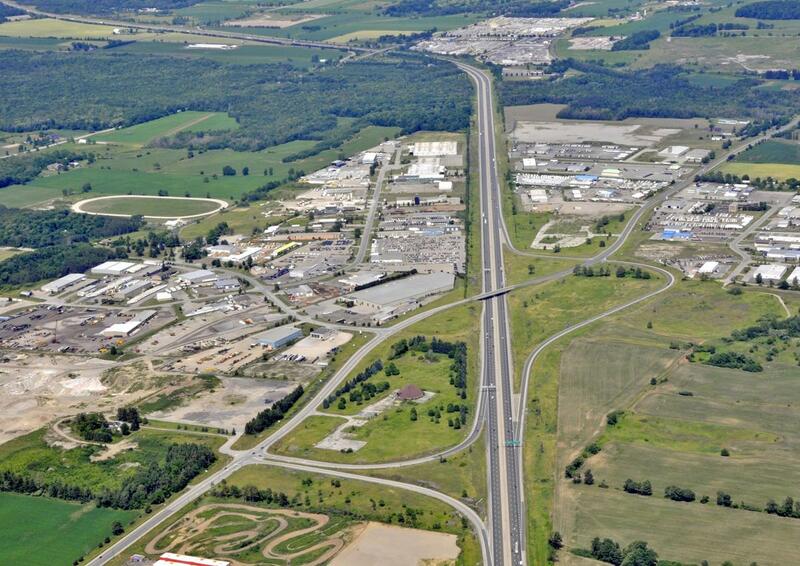 This highway is also known as the King's Highway 401 or Macdonald-Cartier Freeway. You need not be surprised if you come across people referring to it as the four-oh-one that it is widely known as in Canada. 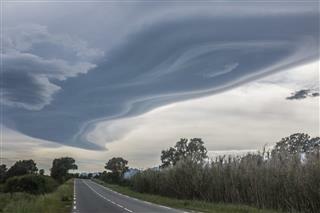 It stretches from Windsor, in southwestern Ontario, to Quebec, in east-central Canada. Yet another interesting attribute of this road is the fact that the segment of this road which passes through Toronto - which is the largest city in Canada, is the busiest road in North America. Isn't it the Monumental Axis in Brazil? 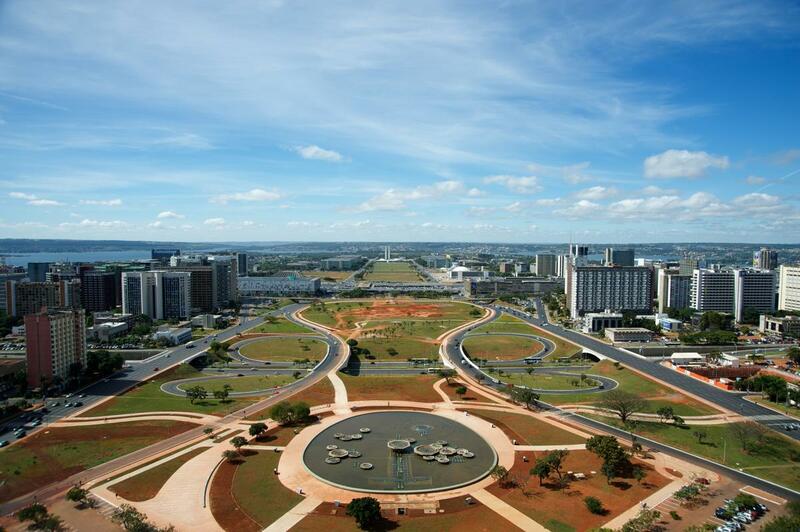 Many people believe that the Monumental Axis, a central avenue in Brazil's capital city Brasilia, is the widest road in the world. Some people even claim that as many as 160 cars can be driven on this road - side by side. A closer inspection suggests that the Monumental Axis is actually made up of two avenues which has six lanes on either sides bringing the total number of lanes to 12. The claim that as many as 160 cars can be driven side by side doesn't quite hold ground as there is no concrete evidence to support the same. Monumental Axis Trivia: What the Monumental Axis does boast of is the fact that it has the widest median when it comes to divided highways in the world - and this fact has been validated by the Guinness Book of World Records as well. 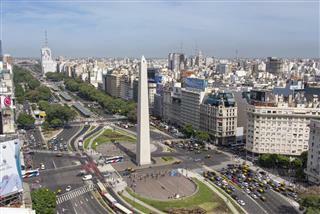 And What About 9 de Julio Avenue in Argentina? 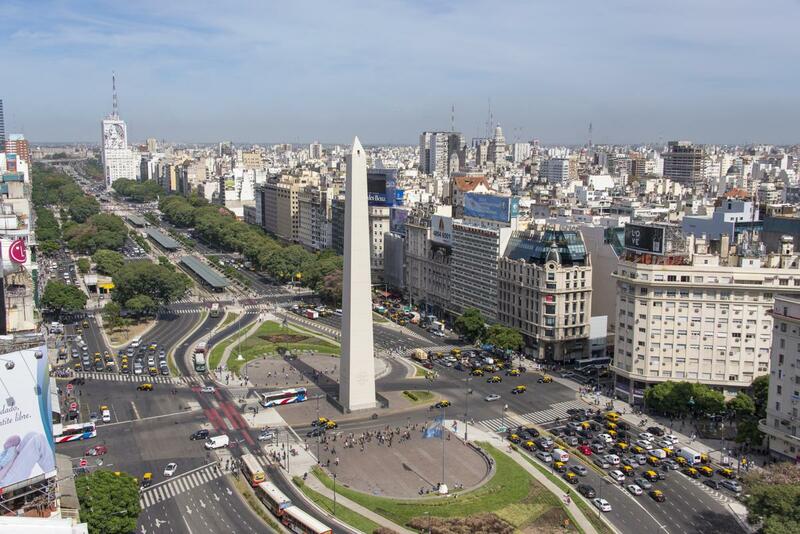 With a total of 16 lanes, 9 de Julio Avenue is the widest street in the world, and not the widest road. You need to understand the difference between a road and street. 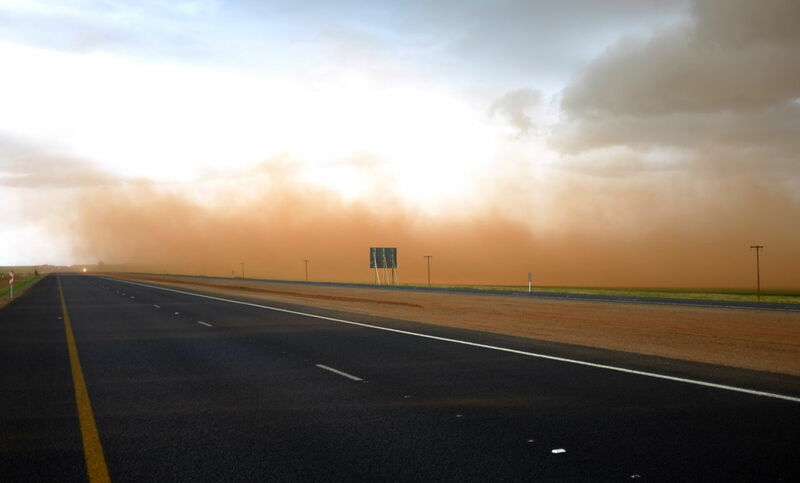 A road is defined as an open way which facilitates travel or transportation. A street, on the other hand, is a thoroughfare - usually including pavements, that has buildings on either sides. And lastly, a highway is a major public road which connects two or more destinations. While both the terms are used to refer to the same thing in general - the use of street is most often seen in context of urban areas. That explains the characteristics such as pavements and buildings lined up on either sides. That being said, 9 de Julio Avenue is indeed the widest street in the world - and you are likely to come across two to three green lights on your few minute journey across the road. 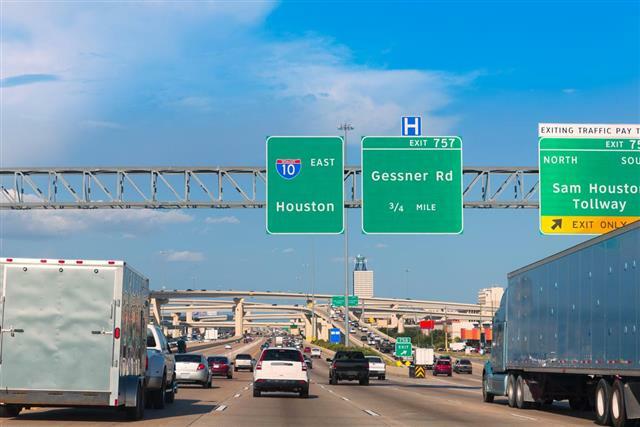 The Katy Freeway, a part of the Interstate 10 in southern United States, is being widened to support the increasing traffic on this route. When the widening work will be complete, the Katy Freeway will have 12 main lanes, 8 access road lanes, and 6 mid-freeway lanes - all of which will amount to 26 lanes, and make it the widest road of the world.